In order to show the importance of their facility, Dr. Proctor is forced to give a speech proving just how vital he and his team are in the minutes following a major accident. A young doctor realizes that working as an intern in a big hospital is very much the same as being in high school. As America celebrates its 200th birthday, two generations of friends and neighbors in a Chicago suburb explore new freedoms and seek connections with each other in the midst of the socio/sexual revolution. As a single mother and the Chief Nursing Officer at Richmond Trinity Hospital in Richmond, Virginia, Christina Hawthorne makes care-taking her life's work. A team tracks down fugitive criminals. A team of detectives investigates stalkers in Los Angeles. A woman, who quit being an attorney at her father's law firm to become a mediator, copes after her father's death. Medical examiner Megan Hunt's unique approach to solving crimes puts her at odds with her superiors. I started watching this show as I a huge fan of one of the cast but I actually really enjoyed the series, I have to say I don't understand why the show was cancelled, it had a good mix of drama, humour and relatable characters and the story lines were actually very watchable. 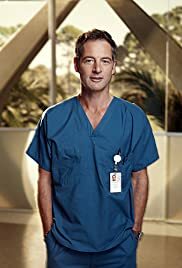 I guess if you watch a lot of medical dramas this show isn't really a stand out but it's still a very enjoyable and easy to watch series.